When shipping internationally all wood-packaging materials must be heat-treated. Perhaps you have heard of IPPC, ISPM-15, HT, and MB when preparing for an international shipment requiring pallets. All of these letters and numbers can be confusing but they don’t have to be. IPPC stands for the International Plant Protection Convention. The IPPC consists of nearly 180 members who all belong to the United Nations. Their purpose is to protect the world’s ecosystem by preventing the spread of disease and pests between countries. Because the IPPC is made up of UN members, this agency is recognized as a trusted source throughout the global community. • All wood packaging must have a minimal amount of bark in order to prevent re-infestation. 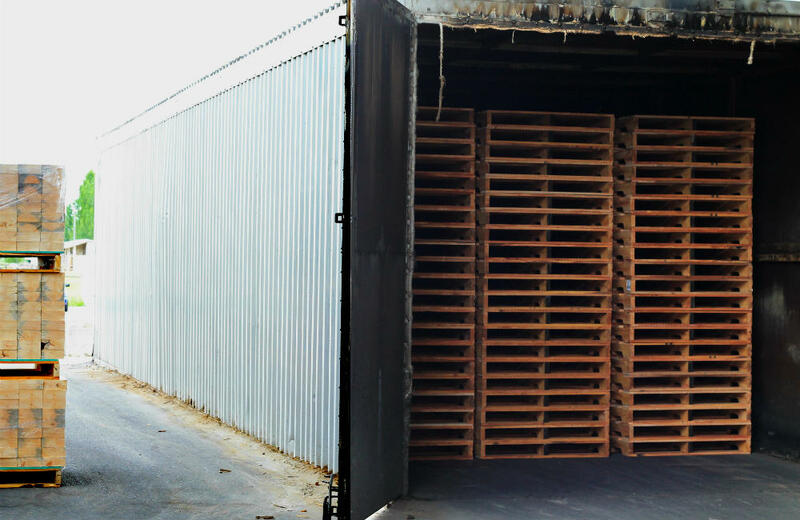 Wooden pallets can either be heat-treated (HT) or fumigated with methyl-bromide (MB) to assure they are free from pests. At each of our facilities, we have a heat-treating chamber to "cook" any pallets or crates that are shipping internationally. Fumigation with methyl-bromide has been found to have a negative impact on the environment and can be toxic. Our preferred and only method of treatment is with our heat treat chambers.